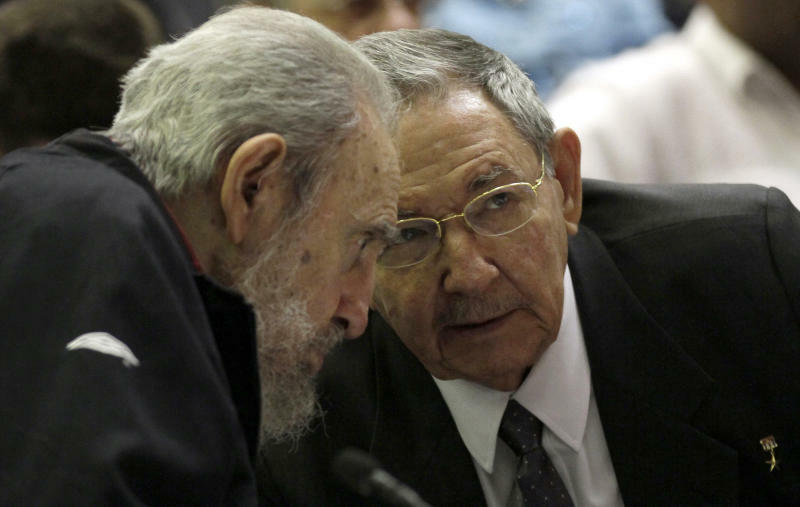 HAVANA (AP) — Cuba's parliament reconvened Sunday with new membership and was expected to name Raul Castro to a new five-year-term as president. All were watching whether younger politicians might be tapped for other top leadership posts, providing hints of a possible future successor. Castro fueled speculation on Friday when he talked of his possible retirement and suggested he has plans to resign at some point. It was unclear whether the 81-year-old leader was joking, but he promised his speech Sunday would be "interesting." If a fresh face is named as one of his top deputies, it could indicate that his administration is settling on who might carry the country forward when those who fought in the 1959 revolution can no longer do so. 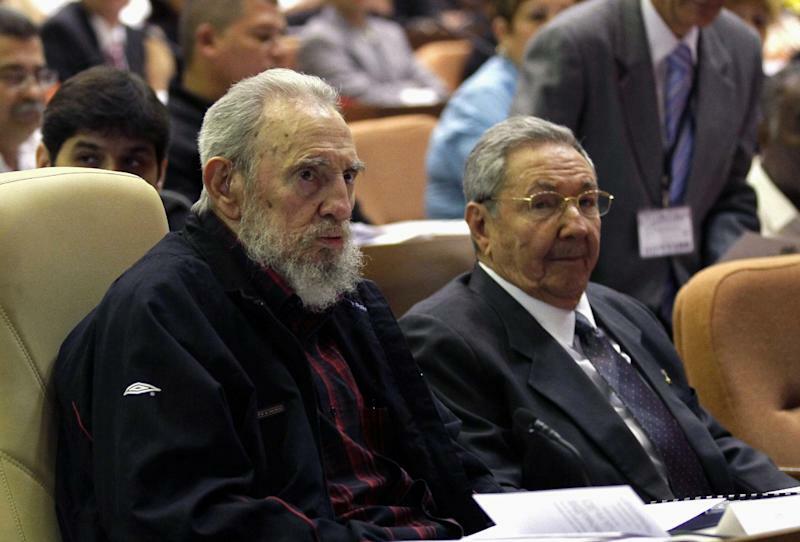 Raul Castro turns 82 this year and would be 86 when a new term ends. His top two lieutenants are also in their 80s. "This National Assembly is important because it formally is going to govern the fate of the country for the next five years, which will be decisive for changing personnel — what I call the intergenerational transition," said Arturo Lopez-Levy, a Cuban economist and analyst who lectures at the University of Denver. "The intergenerational transition cannot be put off any longer." Fidel Castro, who ceded the presidency to his brother after falling ill, attended Sunday's session, in which 612 legislators were sworn. Delegates then picked economist Esteban Lazo as the National Assembly's first new chief in 20 years. Lazo, who turns 69 on Tuesday, is a vice president and member of the Communist Party's ruling political bureau. Parliament meets only twice a year and generally passes legislation unanimously without visible debate. Ricardo Alarcon, who had been the body's president for two decades, was not on the ballot this year. The assembly will also nominate the Council of State, Cuba's maximum governing body, which is made up of the president, a first vice president, five vice-presidents, a secretary and 23 other members. The president also oversees the Council of Ministers, or Cabinet. Castro has spoken in the past of implementing two-term limits for public officials up to and including the president, as well as the importance of grooming new leaders to take over from his graying generation. "Raul Castro has said they're behind. He has set the task of promoting people from the younger generation into the leadership, but so far hasn't put them into the top-level leadership," said Philip Peters, a longtime Cuba analyst at the Virginia-based Lexington Institute think tank. "So we will see on Sunday if this is what they do." This would be Castro's second full term after formally assuming the presidency in 2008. He took over provisionally in 2006 when his elder brother was stricken with a life-threatening intestinal illness. President Castro is about halfway through a program of key social and economic reforms that have already seen the expansion of private business activity, legalized home and car sales, an easing of restrictions on foreign travel and the handover of fallow state land to independent farmers. Cuban state media said both Castros received a standing ovation when they arrived at a Havana convention center for Sunday's parliamentary gathering. The brothers sat next to each other at the assembly, along with first vice president Jose Ramon Machado Ventura. 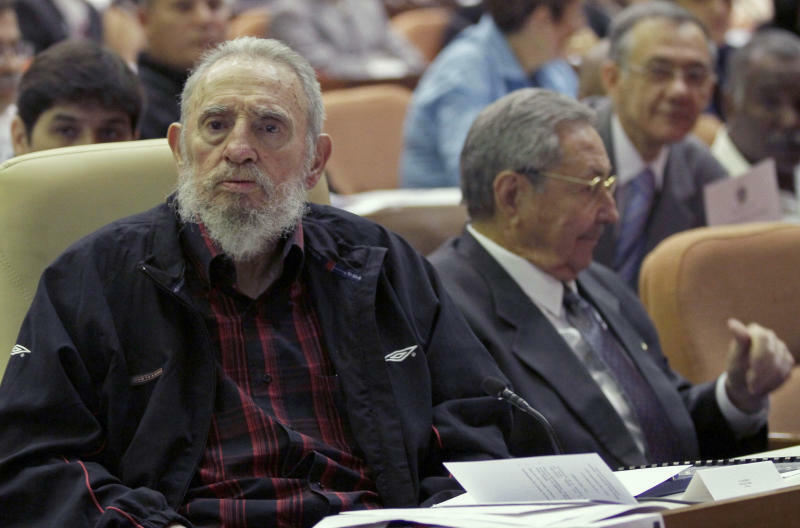 It was the first time since summer 2010 that Fidel Castro, who is retired but still formally a delegate to the National Assembly, attended a session of parliament. Foreign media were not invited to the early parts of the gathering, but were promised access to its closing moments.